A brand new Facebook t-shirt with a Zelda twist is available from Ript today only and for just US $10. The Like Tip Box allows customers to put money were their thumbs up are. Using the popular Facebook iconography, this modern tip jar was designed by Burak Kaynak to convert Likes into cash. The Likeable Constitution is a just launched website that aims to spread and rank what makes America the greatest country. People from all over the world are invited to like the parts of the U.S. constitution they resonate with most. Your wall can now like things too. 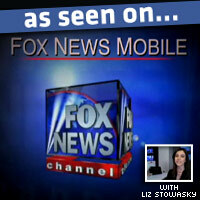 Not your Facebook wall, we’re talking about your real wall. The one near your front door in particular. And your wall can like your coat, your hat or almost any other piece of clothing you throw at it. All thanks to the Facebook Like Hanger by Meninos. If it sometimes happens to you that when you walk across something you like, you start looking for the nearest blue-sleeved thumbs up icon, then this is something for you. A Bangkok-based designer made a papercraft version of the Facebook Like and is sharing it with handy crafters around the world. If you’re having a hard time keeping up with all the different kinds of Facebook buttons, the Facebook Social Widgets Timeline gives you an overview of what’s been out there since the launch of Facebook Connect halfway 2008. The LikeLight is a thumb-shaped light built out of Lego bricks and LEDs, that interacts with the Facebook Graph API and blinks every time someone likes a Page. Wouldn’t it be interesting to find out which of your Facebook friends you have the most common interests with? No, there’s no application required to show you that kind of information; it’s built right into Facebook’s Page Browser. Like gore? Then you’ll like this bloody Facebook Like button, made of a dismembered hand and its fresh blood. The frightening but witty thumbs up appeared as a newspaper ad for the the 31ste edition of the Oporto International Film Festival, Fantasporto 2011. Oreo, the self-proclaimed world’s favorite cookie wants to validate its tagline by setting an official Guinness World Record for the most Likes on Facebook within 24 hours. And while the Facebook event has less than 3000 confirmed attendees, the uploaded picture of an Oreo cookie shaped as the Like icon already managed to get over 10,000 in less than 15 minutes. We debuted our I Like NY t-shirt almost a year ago, and while this parody design has received plenty of positive feedback ─it was featured on Groupon for instance─ we often get requests from people asking if we can do other initials. Well, of course we can! The American rapper, T-Pain, returned from Hawaii with a Facebook tattoo that reads: You don’t have to Like me. And yes, that Like is the infamous Facebook Like Button. 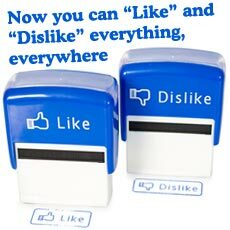 We showed you the Facebook Like/Dislike stamps a while ago, but the original product has been out of stock and sold out for ages. So we searched and found alternative Facebook stamps that let you Like and Dislike everything in real life, including documents, notes, and foreheads. If you’re a regular reface.me reader, you know we love the occasional pun. And because of that uncontrollable habit, we couldn’t resist designing the Facebook Like a G6 Button T-Shirt based on the double platinum hit single Like a G6 by Far East Movement.